Each player head, replicated from photographs, can be individually modelled and micro-cast with incredible realism and definition. You can specify exactly how many unique heads you would like in your teams. The bodies are hand-crafted from solid-cast aluminium and finished in pinpoint detail. Each individual player is meticulously hand-painted in the team strip of your choice. The options are limitless. The playing surface consists of toughened, frosted glass with ultraviolet-etched pitch markings and under-pitch lighting. A remote control dimmer allows you to create a range of lighting atmospheres to enhance the playing experience. 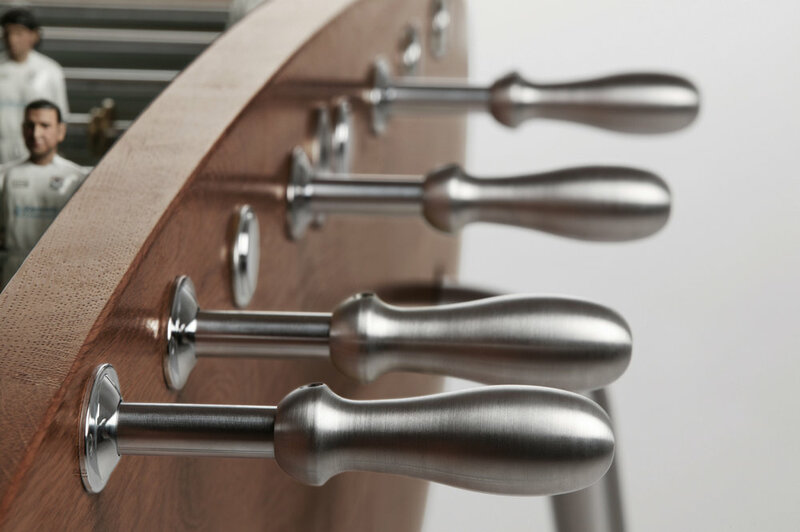 The sensuously-curved, hand-finished cabinet combines highly skilled craftsmanship and computer-aided machining. It comes in a choice of oak, ash, walnut or mahogany beautifully lacquered to make the wood glow. Integrated bubble levels guarantee a level playing surface to enhance the table’s fantastic playability. Precision-engineered telescopic rods offer exceptional touch and durability. Ergonomically-designed handles are available in a choice of metals and woods. 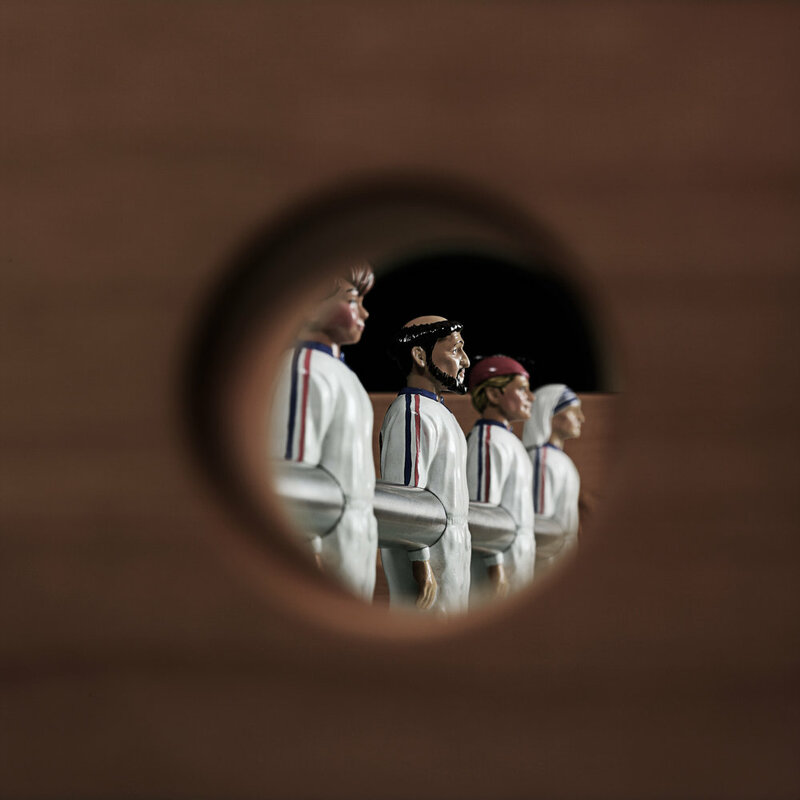 Concealed ‘glove-box’ compartments with touch-sensitive opening mechanisms for storing spare player heads, balls and table tools can be added as an option. Every table is assembled by hand at our workshops and foundry in North Yorkshire. Opus is a flagship product of the Eleven Forty Company.